Meeting new people in the heating and air industry is always a joy for us. 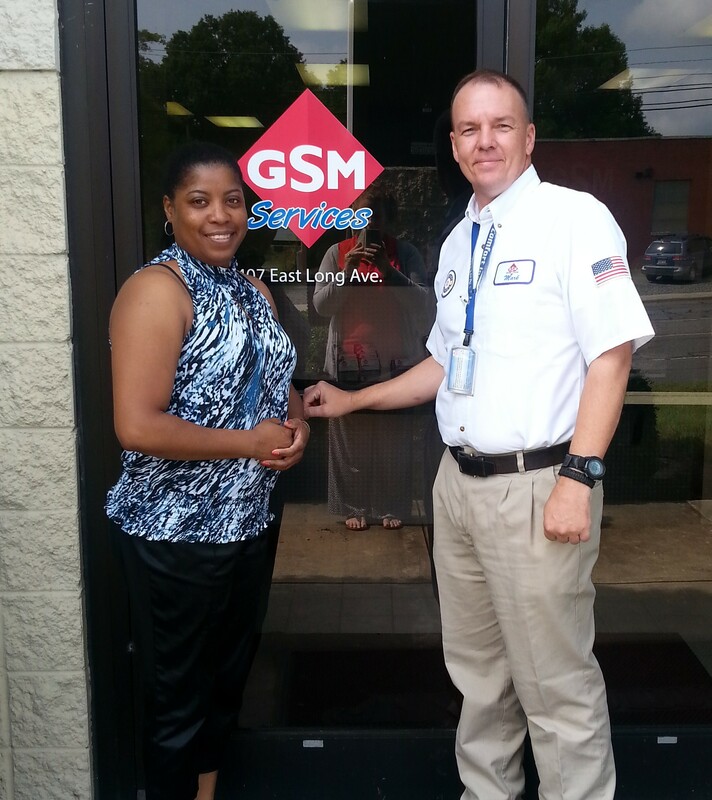 Recently, Shandi Maddox, our client representative, was out visiting a few companies in the area and saw GSM Services in Gastonia. She remembered seeing their service vans around town and decided to stop by! Mark Benton, residential service team leader, recognized Shandi from talking to her before. Shandi got some great feedback from them on our products and company. GSM Services has been around for a long time – since 1927! In fact, that’s their Twitter handle: @GSMsince1927. If you’re in the Gaston County area, check out their website and Facebook page. We love getting connected with companies like this, because we want to help them help their customers with our products. Our products are easy-to-use, inexpensive and can save HVAC customers (both residential and commercial) a lot of money. Let us know if you’re a contractor in the Charlotte, NC, area and would like a visit from Shandi! Or if you’d like to hear more about our products or what we do, check out our website at cleanac.com. Wherever you are, we ship products all over the country. “The CRT Tipster” is an HVAC tips and news blog owned by Controlled Release Technologies, located in Shelby, N.C. We manufacture products for HVAC maintenance, vertical/horizontal coatings and more! Find us at cleanac.com or call us toll free at 800-766-9057. Woman Crush Wednesday: Meet Dee Flora White! What makes your job worth it? For our #WomanCrushWednesday featured client, Dee Flora White, it’s her family’s business and its awesome customers. We picked Dee for this feature today, because she is always super friendly! I have worked as the office manager at Domade, Inc. for 10 years. I love family, and I have been blessed to work with family at Domade. Our customers have made this business for the past 34 years, and I have had the privilege to serve them and call them friends. Now that’s a great place to work. Stay tuned each week for our Woman Crush Wednesday and Man Crush Monday posts featuring our awesome, loyal clients on our blog and social media. We love to recognize them for the work they do. Know someone we should pick for our MCM or WCW? Would you like to be featured? Send us an email to social@cleanac.com and we’ll get in touch! 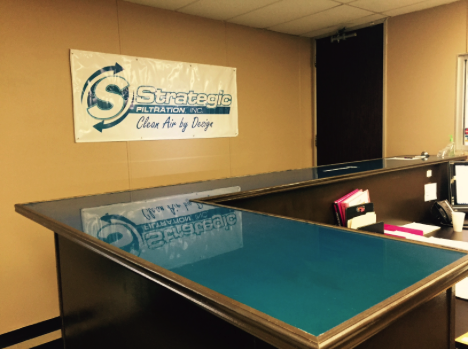 We love learning more about our clients and sharing their businesses! #ManCrushMonday! Richard Luce of RW Luce Co. This week, we’re kicking off an exciting new feature on our blog and social media outlets! What is it? Man Crush Monday and Woman Crush Wednesday! We plan to feature one of our awesome clients each week as part of this trend. Today, we decided to pick a man that is well deserving of our Man Crush Monday title. Richard Luce, president and owner of the RW Luce Co, is such an inspiring man. He is a part of many different charities that raise money for scholarships for youth in the state of Texas. Richard doesn’t get half of the credit that he deserves. Richard is also a well-known businessman, who sells many of our products such as V570 and Pancrete all over the country. 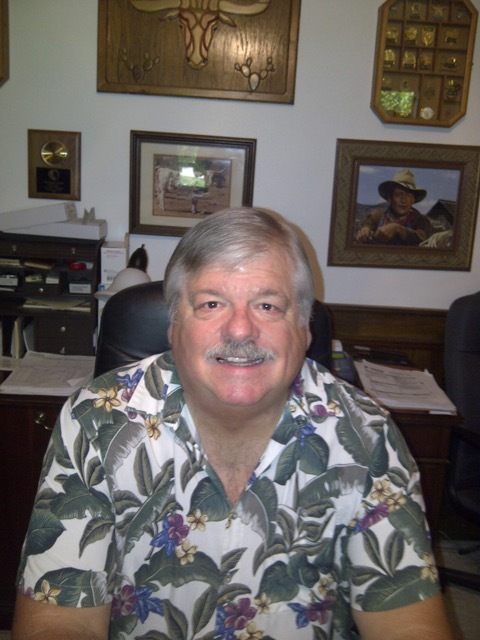 He is well known in Houston, where he started his business in 1984. Fun fact about Richard: He is an avid tea drinker!